I was the ultimate tomboy growing up, lived in tracksuits and t-shirts most of my childhood and still do (More so at home). Not sure if growing up with two brothers influenced my dressing or if it was the 90's music videos from the likes of TLC and Aaliyah but this was pretty much my style until the age of 15/16. After leaving secondary school I started to dress a little more 'feminine' by buying more fitted clothing. But even in my 20s sportswear was still a big part of my wardrobe, where I would mix cropped tops with baggy bottoms or wear trainers with everything. Oversized clothing and sportswear have been a trend for a while now and still going strong this Autumn/Winter (Will do a post on oversize soon). The gorgeous Noholita shows us how sportswear can be dressed up too in her blue 'Miss Guided' tracksuit (More details on her blog). This look is a lot less tomboyish but still has the element of a laid back style. 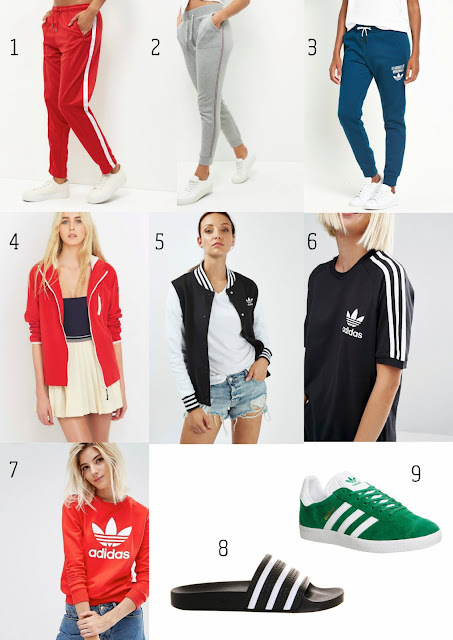 With the Olympics and me loving everything Adidas Original at the moment I had to pick out my favourite sportswear items on the high street. Not sure how to dress sporty? 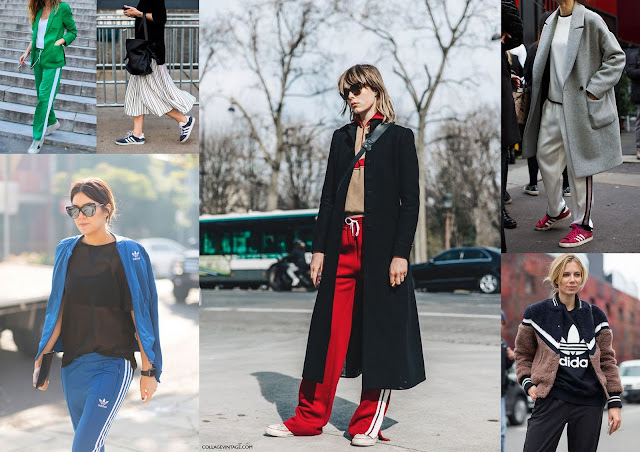 Check out some street style images below, if you don't fancy wearing a tracksuit just add some cool trainers to your outfit. Try mixing smart with casual by adding a blazer or smart coat over a tracksuit. Wear a sporty t-shirt or jumper over a statement skirt or dress and try experimenting and playing with colours and textures.